Did you know firefighters and paramedics experience PTSD and substance use disorders at twice the rate of the general population? In the United States, there are over 1 million firefighters, of whom approximately 750,000 are volunteers. The United States is also home to millions of other first responders, like police officers and EMS. A large majority of first responders are volunteers, and they are typically among the first people to arrive and assist at the scene of an emergency. According to YogaForFirstResponders.org, "In one segment emergency personnel may witness more trauma, loss, death and destruction than the average citizen will see in a lifetime. It is estimated that 25 to 30 percent of police officers have stress ­based physical health problems and 40 percent suffer from sleep disorders. Numbers are rising for Post Traumatic Stress among all emergency personnel; 18 percent in police officers, 10 to 37 percent in fire service." In 2015, a survey of more than 4,000 first responders found that 6.6% had attempted suicide. That is more than 10 times the rate of the general population. 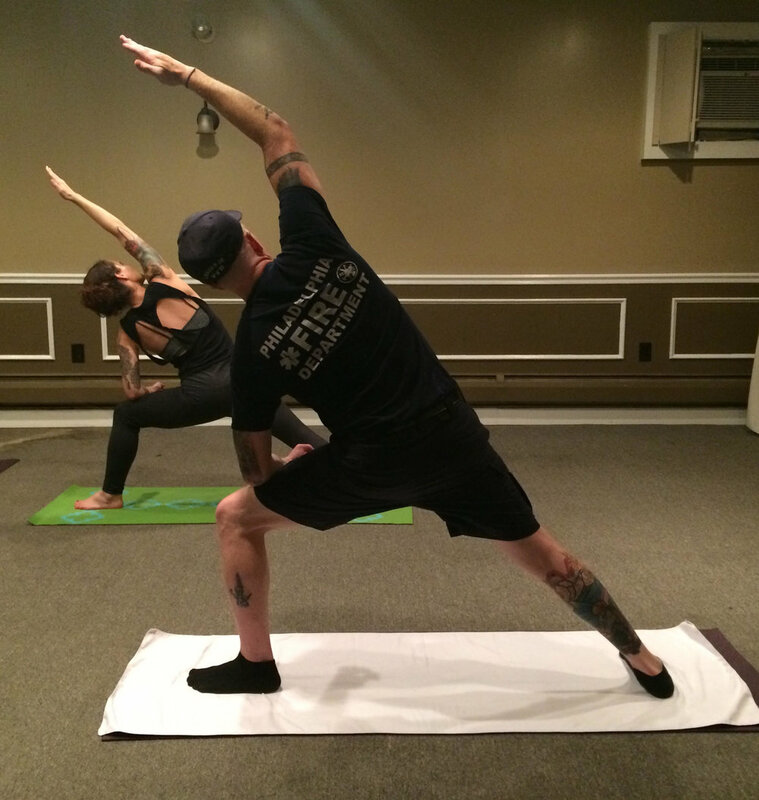 As those numbers increase, mental healthcare professionals are looking for more outlets to provide first responders with emotional wellness and mental-resiliency tools; trauma-sensitive yoga is one of those outlets. Trauma-based yoga programs that are designed to keep students safe from nervous system triggers can help first responders use movement and breath to increase job performance, while also alleviating physical and mental effects of work-related stress.